In the UNISON case, the Supreme Court quashed the Government’s use of its statutory power to impose fees for employment tribunal proceedings. It ruled that the fees were unlawful because the level at which they had been set had the effect in practice of limiting access to justice. The judgment has been widely hailed as a victory for access to justice and another case in which courts have defended the rule of law from the executive. 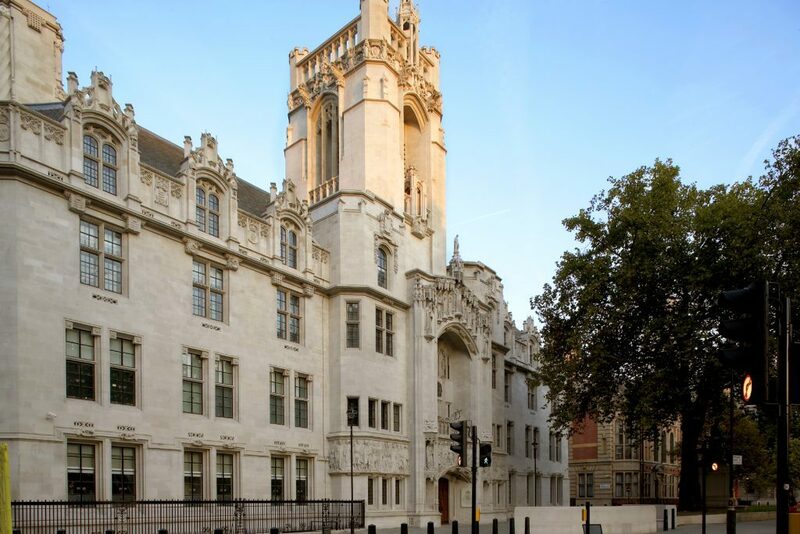 In this new paper for Policy Exchange’s Judicial Power Project, former First Parliamentary Counsel Sir Stephen Laws argues that the Supreme Court went badly wrong in the UNISON case, taking over a policy question that was not for it to decide. Sir Stephen urges judges and lawyers to better understand the limits of their competence and responsibility and to stop trespassing on territory that properly is for elected politicians. The paper is a powerful critique of a very important Supreme Court judgment that is likely to encourage many more challenges to Government policy-making, especially in relation to the justice system. The paper is not about the proper level of employment tribunal fees but about the question of who decides what fees, if any, should be imposed and whether courts can second-guess the Government’s decision after the fact. The paper argues that the Supreme Court’s judgment turns the rule of law on its head, transforming it into a test that allows the courts, with the benefit of hindsight, to quash Government decisions on the basis not of how they were made but of how they turn out in practice. This is not a sound principle for judicial review. It is also unpredictable, exposing Government actions, which are reasonably thought to be lawful at the time they are made or taken, to the risk of subsequent invalidation. This new approach extends judicial power over the substance of policy. The judgment is grounded in a mistaken idea about how Parliament and Government do and should work together. This mistake encourages courts to trespass into questions about ideal policy that should instead be left to parliamentary and political accountability. The problem of using judicial review to decide what fees should be charged is confirmed by the consequences of the Supreme Court’s decision. While the Supreme Court held that the Government could lawfully charge reasonable fees, the Court also held that the fees that had been levied were excessive and all had to be repaid. This means the Government has had to repay +£30m in fees to people who were not in the end deterred from bringing proceedings and yet who did not manage to win their case before the employment tribunal. The judgment provides a windfall to them but cannot and does not compensate those whom high fees may have deterred from bringing a case in the first place.